Book ten was the final instalment of a fantasy trilogy for younger readers. The TodHunter Moon series was a spin-off and follow-up to the Septimus Heap series (which I LOVE!). The first two books, which I have read previously, are PathFinder and SandRider. Return to the world of TodHunter Moon for her next adventure! The third book in the blockbuster fantasy series from number one bestselling author Angie Sage. Alice TodHunter Moon, known as Tod, had thought everything could go back to normal now that they had thwarted the plans of the evil sorcerer, Oraton-Marr, and saved the last ever Orm Egg. She was looking forward to settling back into her life at the Wizard Tower and learning all the Magyk she could. But what no one realised was that without the Orm Egg safely embedded in the heart of the Magykal Ways, all the Magyk in the world would begin to fade. Can Tod find a way to reverse the destruction? 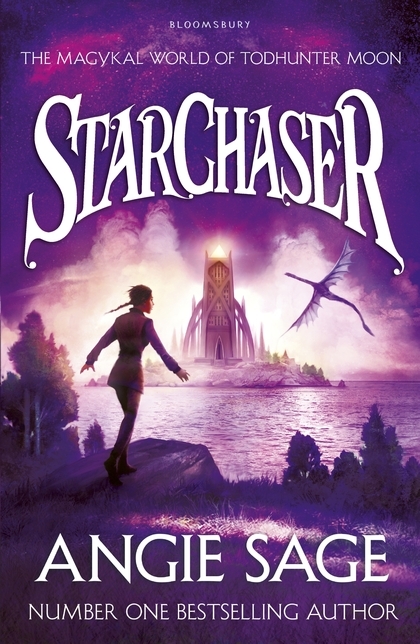 Could the mysterious StarChaser spell be the key? Or will the Magyk be lost forever? Basically, I wanted to finish the series off! I wouldn’t advise reading this book without reading the first two in the trilogy, because they build on a lot of knowledge throughout. However, there is no need to read the Septimus Heap books first. This book is suitable for younger readers. This series is an easy read. I love the world and the magic, and the inventiveness of all the plot lines. In particular, the Ancient Ways, tunnels that allow them to travel quickly to various parts of the world are great. It was fun to see the wider world not introduced in the Septimus books. There’s no shortage of action, and the pace and tension are high, which makes these books a gripping read. It’s not Septimus Heap. This series feels geared at a slightly younger audience and doesn’t quite have the same magical edge to it. 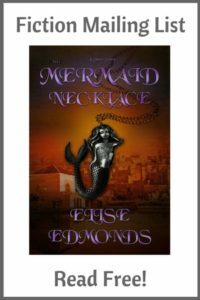 Alice TodHunter’s roots are in a fishing village, and her people, the Pathfinders, are non-magical. It didn’t quite resonate with me in the same way that Septimus did. But then I do prefer YA to MG. The sci-fi stuff is a bit weird. Saying too much would give spoilers, but to only give a tiny spoiler, the Pathfinders’ history involves space exploration. This comes into play quite a lot in this series, and whilst I can swallow anything fantasy, mixing space tech in with it didn’t really work for me. I shall be keeping my eyes peeled for any more instalments in the Septimus Heap world. If you like MG fantasy, or a have a kid who does, I’m sure they’d enjoy this series. Great review! I loved Septimus Heap as a kid… Might check out this series sometime as well.